They tried to stop the killing. Nobody listened. Now, the truth will be told. A French priest in Cambodia. An idealistic U.S. Senate staffer in Iraq. A Canadian general in Rwanda. Each one tried to focus the world's attention on genocide. Each time, they were shunned, ignored or told it was someone else's problem. CNN's Christiane Amanpour traveled to the world's killing fields to understand the world's indifference, even as courageous voices tried to "Scream Bloody Murder." A CNN worldwide investigation and two-hour documentary. For four decades, families in Afghanistan and Pakistan have seen near-constant war, oppression and suffering. How has political instability helped grow fundamentalist extremism and created a safe-havens for al-Qaeda? 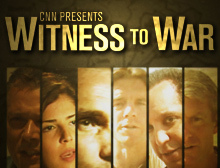 An elite team of CNN journalists put their lives at risk to take viewers inside the world's most dangerous region. CNN's Soledad O'Brien travels with 30 "global ambassadors" from Bushwick, Brooklyn, to South Africa with Malaak Compton-Rock's "Journey for Change" mission to mentor at-risk youth. CNN chief medical correspondent Dr. Sanjay Gupta followed a mother, a writer, a student and a husband. 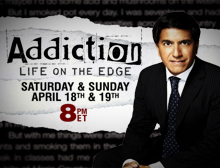 Each an addict on a journey through recovery & relapse. Could their brain hold the key to addiction? Thirty years ago, 909 Americans were led to their death by the Rev. Jim Jones in a mass murder-and-suicide pact in a South American jungle, shortly after Jones' gunmen killed a visiting U.S. congressman and four others at a nearby air strip. Of the nearly 1,000 church members who began the day in Jonestown that morning, only 33 survived to see the next day. They lived through that day and night only by unfathomable courage, rooted in desperation and daring. And even 30 years later, many still feel the pain and the loss of those they had to leave behind. CNN's Soledad O'Brien tells their story in a prime-time special, "Escape from Jonestown"
Violence, corruption and injustice are all too common in New Orleans. How do you fix this city? Soledad O'Brien reports. They tried to stop the killing. Nobody listened. Now, the truth will be told. 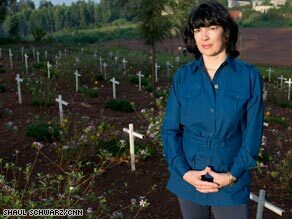 CNN Chief International Correspondent Christiane Amanpour traveled to the killing fields of Europe, Africa and Asia to understand the world's indifference, even as courageous voices tried to "Scream Bloody Murder." Send your questions and comments to "CNN Presents."